It's been a tough travel schedule over the last two months. I've got plenty of pictures to post, but seemingly no time to write. 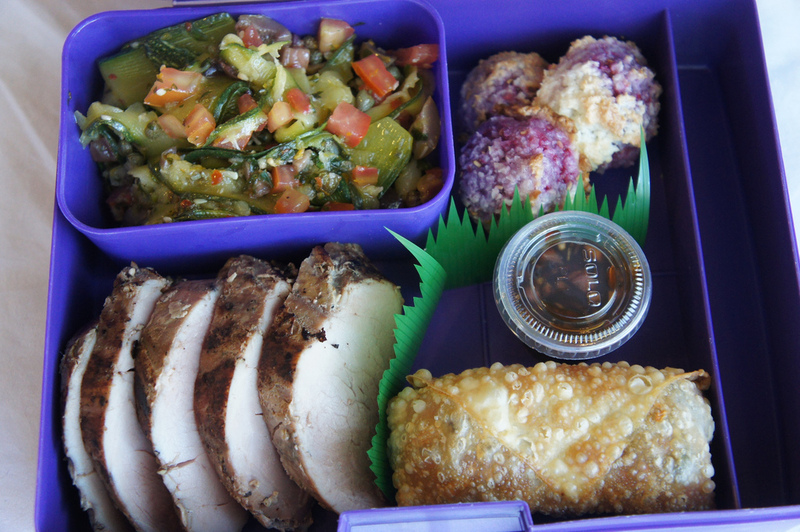 Take for instance this bento, I served it almost three weeks ago and am only now just getting time to post it. Not only that, I was so pressed for time I couldn't even think of a good theme to go with, so I just put together a few things that I've had on the back burner to try and hoped it all came out into a cohesive meal. I didn't do my usual critical eye on the recipes or source multiple versions so there are I've got plenty of links to the exact recipe I used instead of my usual frankenstein monsters. (which you can all have, just post in the comments that you want me to post a given recipe) I'll keep this post short so enough whining from me. 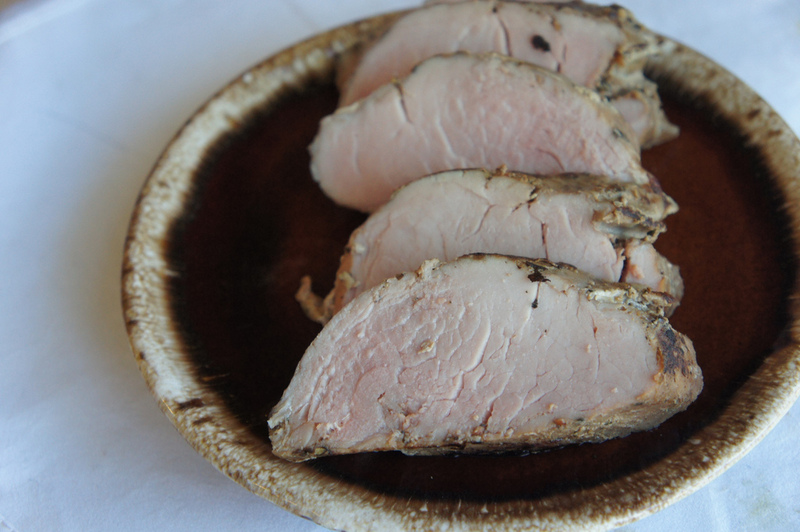 The main protein of the meal is yet another sous vide pork tenderloin. I've managed to play this record without over playing since my cast of diners rotates and it's been hard to produce lunches enough that no one seems to notice I've done this so often. Not much to say here, I always get great comments on awesome the pork is. I think I managed to even convince two people to purchase sous vide rigs of their own. The Austin Food Blogger Alliance is putting together a community cookbook. Every member supplied one or two recipes for publishing. I put two in from my creations from my debut at the flying carpet trailer. Anyhow, it's an elaborate process putting together a cookbook, from editing the recipes for consistent measurements, layouts and proofing but the part that was farmed back out to the community was "testing". 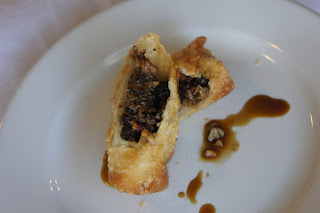 This recipe came to me via Zesty Bean Dog who submitted this recipe "Morel, bacon, and parmigiano-reggiano Stuffed Egg Rolls with an Agave Yuzu Soy Sauce infused with Garlic, Ginger and Purple Scallions" (whew quite a mouthful). I figured the best way to test this recipe is to make it for my audience and see what they think. The dried morel mushrooms really added a meaty taste to the egg roll and the citrus in the sauce was very bright and flavorful. I wasn't able to source purple scallions (apparently only available at the local farmers market which I had just missed) the author kindly gave me a few substitution instructions but given the description of purple scallion I went my own way with shallots. 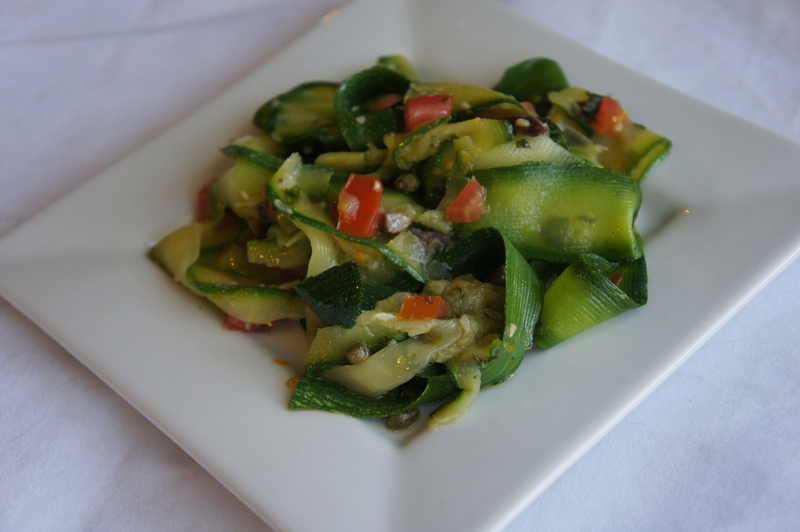 Which is close and still gives you color and the delicate scallion feel without going full red onion (which would have to be minced to fit in the sauce and give you too much onion). The egg rolls were a pretty big hit despite needing re-heat (I warned everyone to use a toaster oven on the egg rolls). The only downside was that this one dish was a big budget buster for the bento, first with the morels (20 bucks) and the yuzu juice (12 bucks) nearly half my budget for the bento. But cost was not a constraint in our cookbook challenge so that's no ding on the recipe. 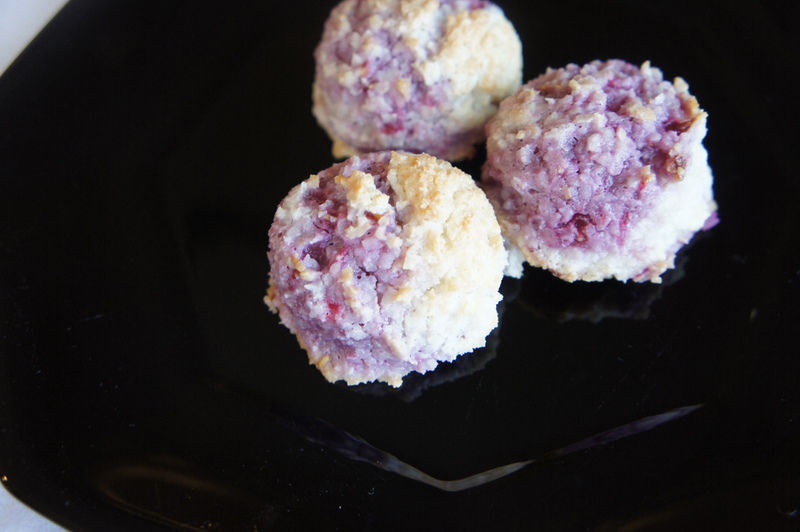 Finally Dessert came from Smitten Kitchen (amazing photos and wonderful recipes) Raspberry Coconut Macaroons. These little treasures were beautiful, the tart raspberries really offset the sweetness and I always love the texture of shredded coconut. I think you might need to up the amount of coconut and sugar and zip two batches 2/3 with raspberries (heavily incorporated) and 1/3 without so you can maintain the presentation but fold the raspberries in better (the batter was a bit wet with the number of pulses that were recommended). Ok that's that. I'll post some off topic posts next with some of my food from my travels.